adidas (ticker symbol: ADDYY) is one of the most admired companies in the world, especially when it comes to sustainability. In January, Corporate Knights, “The Magazine for Clean Capitalism,” ranked the company #3 on its list of the “Global 100 Most Sustainable Corporations”. In fact, adidas was the only Textiles, Apparel and Luxury Goods company that made it. As GreenSportsBlog sought to discover what makes the company tick so consistently when it comes to sustainability despite the financial pressures of the athletic apparel marketplace, we found they use an approach most commonly associated with the tech world: Open Source Innovation. What does “Open Source” mean in the adidas context? Communities, means engaging individuals and groups of people who want to work with the company. For example, the Brazuca soccer ball, official ball of the 2014 FIFA World Cup in Brazil, was named by Brazilians themselves. Partners means open collaboration with other companies, non-profits and NGOs. BASF, a leader in the sustainable chemistry and Green-Sports worlds worked with adidas to create a revolutionary new cushioning material, BOOST, that provides the highest energy return in the industry. One of adidas’ Open Source Innovation partners sits squarely in the sustainability world: Parley for the Oceans, whose main goal is to get plastic out of the oceans. 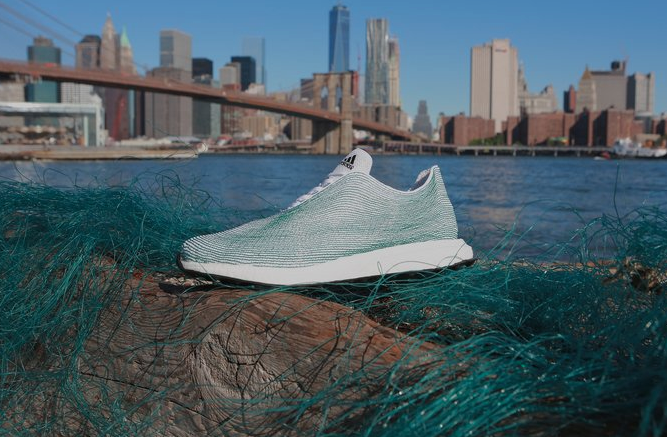 The company was open to partnering with Parley, as there was, per Haass, “an alignment with our principals of how to drive sustainable innovation for our brand.” A key practical effect of the collaboration, which launched in April, 2015, will be the integration of materials made of Ocean Plastic waste into adidas products in 2016 and beyond. In fact, adidas created a first: A shoe upper* made entirely of yarns and filaments reclaimed and recycled from ocean waste and illegal deep-sea gillnets. Long term, the adidas/Parley partnership will focus on Communication and Education, Research and Innovation as well as Direct Actions against Ocean Plastic Pollution. The company is, at the moment, not planning to run TV advertising with a “Parley” theme (I would absolutely produce and run one–the story is important and compelling, but nobody asked me!) Consumers will still play a vital role in the partnership through future retail and other promotional activations. The company is certainly walking the green walk in terms of its operations: 96% of footwear suppliers are ISO (international quality standard) certified. Building performance, CO2 emissions and water usage are all becoming more efficient–in fact the company committed in 2008 to reduce its carbon emissions by 30% by the end of this year. 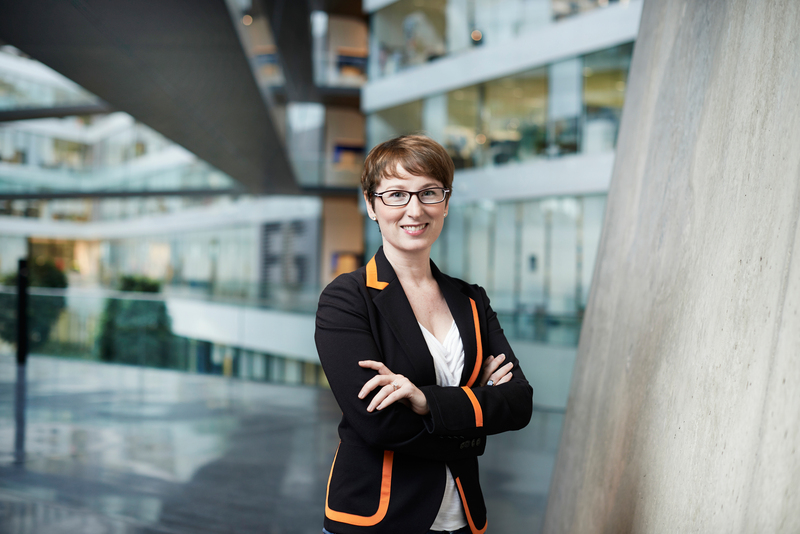 Sustainability does not only mean green/environment at adidas. It is looked at through a wide, ESG (Environmental, Social and Governmental) lens. In the run up to Brazil 2014, adidas focused on the social end of ESG by working with local organizers on a number of grassroots programs, including the “Ginga Social” initiative. This sports-based initiative uses coaches to teach values and life skills to young people aged between 7 and 17 in favelas (low income, high crime neighborhoods) in Rio de Janeiro, Sâo Paulo, and 3 other FIFA World Cup host cities. The “train the trainer” approach equips local coaches with the communication and leadership skills to make an ongoing positive difference in the lives of vulnerable young people in their neighborhoods. In addition, local sports facilities, always in short supply, are refurbished and their lives extended. Thus far, 2,200 children and teenagers have directly benefited from Ginga Social–and, when one includes family members and others impacted, the total number touched by the program rises to about 7,000. And, a recent study concluded that the program has a significant impact on self-esteem and sense of responsibility; Ginga Social kids are less aggressive in their relationships towards other children and are more respectful towards adults. With that in mind, adidas Brazil decided to continue investing in Ginga Social well after Germany hoisted the championship trophy last July. Over the long haul, adidas is betting that ESG/sustainability will be a key business driver, not a drag. “Consumers make decisions based on the brands they prefer. Sustainability and innovation are two of the key criteria of selection,” says Ms. Haass, “successful companies in the future will be those where sustainability is well integrated in terms of core values, operations as well as consumer acceptance.” With its 4-pillars approach, I suspect adidas will certainly be one of those successful, sustainable companies for the foreseeable future. ← Green Sports Alliance Summit, Day 2: TAKE A STAND!